We presented our project at the University of Washington Information School Capstone Event on May 31, 2017. On this page we include our poster, a brief video, and a presentation. 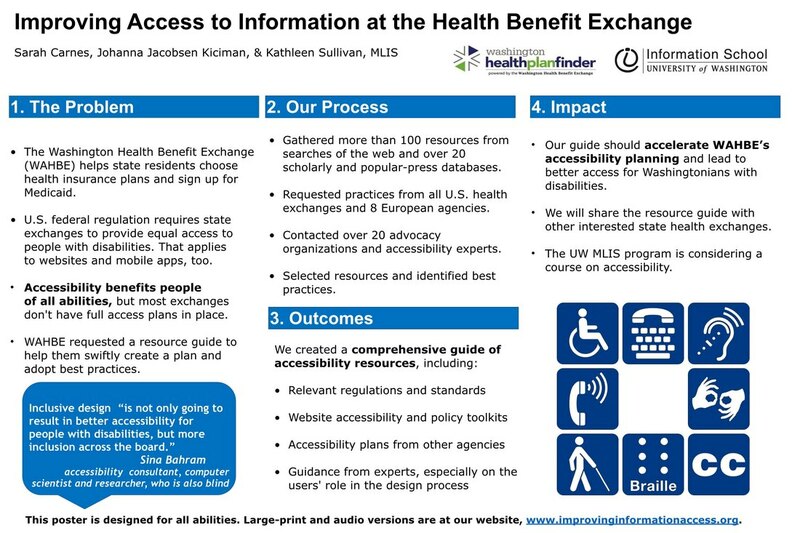 This presentation is provided in two formats to be as accessible as possible: a large text flyer and a recorded version of the flyer. ​Both the video and the recorded version of the flyer are made with a synthetic voice. We did this intentionally because a machine-generated voice can be more understandable than a natural voice for people with visual impairments who are used to using screen readers.